Which variety of corn is used for popcorn? 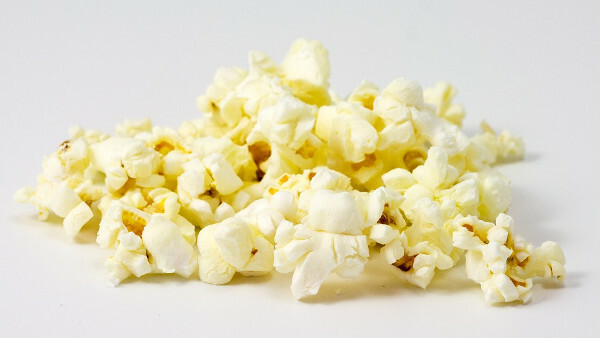 What is the optimal moisture content for popcorn? What happens inside the corn kernel when it is heated? How does something as hard and tiny as a corn kernel pop into a light and fluffy piece of popcorn? The secret is in the kernel. Each corn kernel consists of a hard shell – called the pericarp – which is very strong and resistant to moisture. 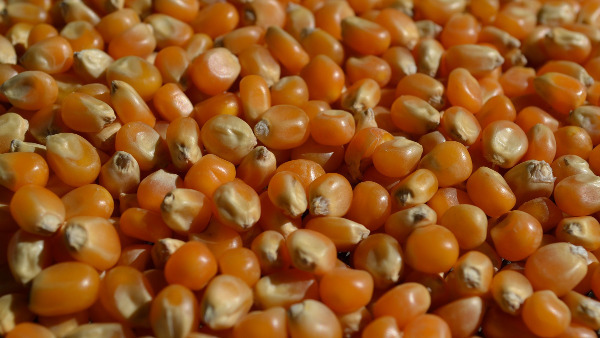 The inside of the kernel consists of about 62% starch, 20% protein, 4% oil, and 14% moisture. 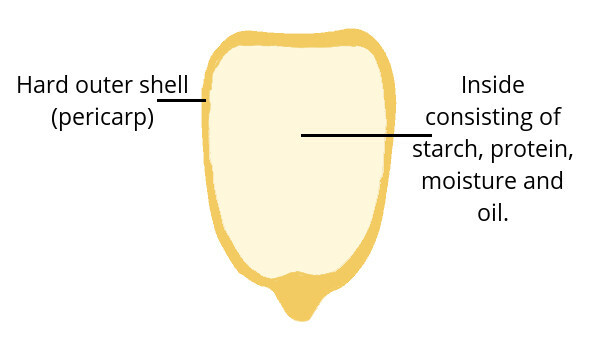 When the kernel is heated, the moisture and heat cause the starch molecules to break down into smaller starch molecules which then dissolve in the moisture (a process known as gelatinization). It also causes the pressure in the kernel to build up. When the internal pressure reaches about 135 psi (930 kPa) – about 9 atmospheres – at a temperature of about 180°C (350°F), the outer shell ruptures and the plasticized inside of the kernel rapidly expands and solidifies into the light and fluffy snack beloved by many people. Even though the pericarp is moisture resistant, if the kernel is heated too slowly, some of the moisture will escape through it, which will result in not enough pressure building up to rupture the shell. The ideal moisture content for popcorn is about 14%. If there is too little moisture, not enough pressure will build up inside the kernel to rupture the shell. If there is too much moisture, the result will not be as fluffy. While many different types of corn kernels will pop, the preferred variety is a type flint corn which has the scientific name zea mays everta. It has more hard starch and slightly less moisture content than other corn types. Popcorn pops when the internal pressure reaches about 135 psi (930 kPa) - about 9 atmospheres. For optimal results, popcorn kernels should have about 14% moisture content. 'zeya mays everta' is the scientific name of the corn variety used for popcorn.